Book your lodging with Pioneer Ridge and receive 15% off your equipment rentals with Steamboat Ski & Sport! You must book your rentals at least 14 days before arrival to receive this discount. Please note that submitting this form will create a rental reservation with Steamboat Ski & Sport. If you are looking for a price quote, please call Pioneer Ridge at 888-672-6938. 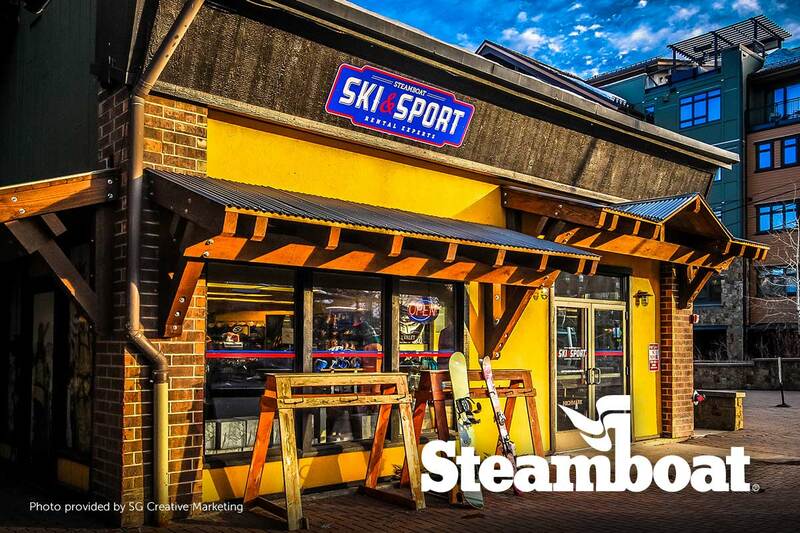 If you select Ski & Sport Delivery, please provide a phone number that you will have in Steamboat so that we may gather additional information including height, weight and shoe size, as well as to schedule a delivery time. Failure to include a phone number could result in equipment not being delivered. Child rentals are for children up to 12 years old. Demos are only available in adult sizes. Sport Progression Ski Package - Beginner to intermediate skiers will favor the Sport Progression rental package. The ski features auto-turn technology and a lightweight core to enhance and simplify the learning experience. The Sport Progression rental package is available at all Steamboat Ski & Sport locations with the exception of the Transit Center. All Mountain Ski Package (Adults Only) - For advanced to intermediate skiers who are looking to take the next step with their skiing. The All-Mountain Package offers the best options with a variety of mid fat all-mountain skis for intermediates and lower level experts, male or female. Good for everything from carving the groomers, skiing the trees and bumps, or floating on powder. The All-Mountain rental package is available at all Steamboat Ski & Sport locations with the exception of Transit Center. Demo Ski Package (Adults Only) - The best of the best. Our selection of demo skis offers the most versatility of all our rental packages. Our demo skis can also be swapped out throughout the day in order to equip you with the best skiing option for the conditions, whether it be powder, groomers, moguls, or trees! We cannot guarantee specific models. Demo rentals are available at the Steamboat Ski & Sport Transit Center and the Steamboat Ski & Sport at the Sheraton. Sport Progression Snowboard Package - Beginner to intermediate snowboarders will favor the Sport Progression rental package. The snowboard features auto-turn technology and a lightweight core to enhance and simplify the learning experience. The Sport Progression rental package is available at all Steamboat Ski & Sport locations with the exception of the Transit Center. All Mountain Snowboard Package (Adults Only)- For advanced to intermediate snowboarders who are looking to take the next step with their snowboarding. The All-Mountain Package offers the best options with a variety of all-mountain snowboards for intermediates and lower level experts, male or female. Good for everything from carving the groomers, snowboarding the trees, or floating on powder. The All-Mountain rental package is available at all Steamboat Ski & Sport locations with the exception of Transit Center. Demo Snowboard Package (Adults Only) - The best of the best. Our selection of demo snowboards offers the most versatility of all our rental packages. Our demo snowboards can also be swapped out throughout the day in order to equip you with the best snowboarding option for the conditions, whether it be powder, groomers, or trees! Demo rentals are available at the Steamboat Ski & Sport Transit Center. Please note that submitting this form will create a rental reservation with Steamboat Ski & Sport. Failure to enter all required information could result in your reservation not being completed. Payment will be due when you pick up your gear.